From $80, love all of Ana's work + she coded our blog too! From $25, these layouts seem like they'd be great for photography blogs. Hope that helps if anyone is looking for a blog template or to update their look. These shops typically offer installation so it'd be all done for you. If you're brave enough, you can mess with the code to customize your layout too! 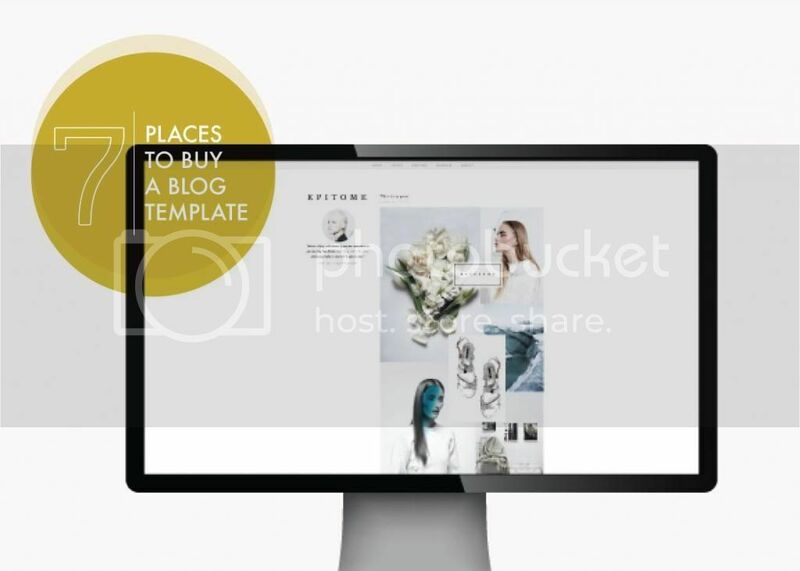 If you know of any other places to get a lovely blog template, free or paid, feel free to leave them in the comments below! Do you know of any good sources for affordable coding? I've been wanting to design a new blog but I don't know how to code. Thanks for including Pink + Lola. :) I'm deeply honored! This is like... an early Christmas present! I know, I was thinking about you when I was putting this list together ;) Hope you find a nice template! These are such great resources - thanks so much for posting this!